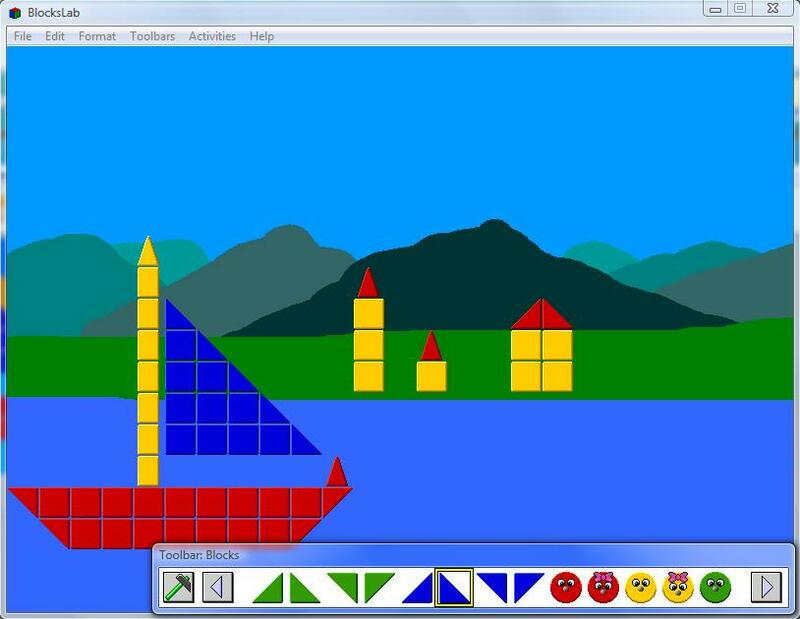 With BlocksLab children aged 3-12 act, design, build, create, paint, animate, learn using blocks and multicolor shapes. Many possibilities of action and interaction : boys and girls can be active and experience success. Based on concepts from active and constructivist pedagogy: the process is as educational as the task to perform. An educational software for all, not necessarily requiring undamaged motor skills. ...... A child can learn to actively program a computer. BlocksLab is a software for everyone, offering features and facilities that make interacting possible and easy even if motor skills are damaged. BlocksLab represents a new way to use computers at school and home to act, develop thinking abilities and the capability to elaborate hypotheses and test them by building objects and rules for their interaction. Sea, the Farm, Symmetrics, and more). Qweas is providing links to BlocksLab for Windows 1.0.2 as a courtesy, and makes no representations regarding BlocksLab for Windows or any other applications or any information related thereto. Any questions, complaints or claims regarding this application BlocksLab for Windows 1.0.2 must be directed to the appropriate software vendor. You may click the publisher link of BlocksLab for Windows on the top of this page to get more details about the vendor.